You are here: Home / A-Blog / Embracing Faith: President Trump Announces New Executive Order on National Prayer Day. 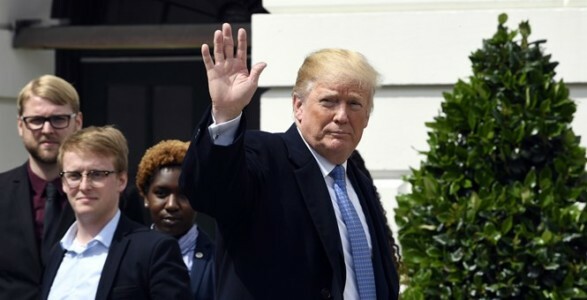 Speaking from the White House Thursday morning to celebrate the annual National Day of Prayer, President Trump announced the signing of a new faith based executive order that will allow religious organizations to obtain resources from federal government programs. The White House Faith Based Opportunity Initiative will be led by someone inside the administration, who will report directly to President Trump on ways to better streamline programs beneficial to religious groups. During his remarks, President Trump also praised the late-Rev. Billy Graham, who passed away earlier this year.